A man who had just lost his house to a fire ended up in jail after escaping from the blaze for allegedly strangling his wife with his hands due to jealousy. The suspect, Gemjun Ingles, 34, witnessed his house burn down in Brgy. 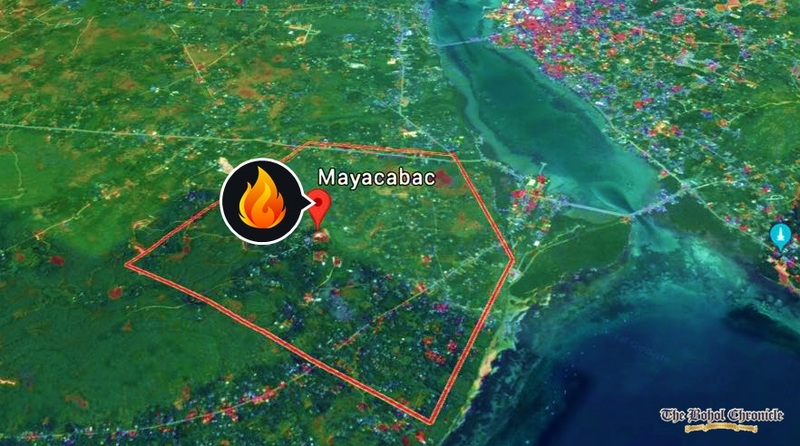 Mayacabac, Dauis at past midnight on Tuesday after it was set ablaze by a lighted cigarette which he left unattended while he was in a fight with his wife, Joan, 31. According to SPO3 Jose Pogoy of the Dauis police, Gemjun confronted his wife after he got jealous of her and his cousin out of drunkenness. This led to a heated argument between Gemjun and Joan which distracted the couple from their mattress which was already ignited by the lit cigarette. Prior to the fight, Gemjun was drinking in the house with his male cousins. “Ang ig-agaw sa bana hubog pod unya nakatog ba pero sila ra konong kaubana nag-inom, unya pagkahubog na, mao to na lain naman ang bana nangahubog naman, gikulata iyang asawa, gitook,” said Pogoy. Based on the Ingleses’ statements, the blaze was already too big for them to put out when they noticed it. The house which was made of light materials was burned to the ground but no one was injured including Gemjun’s cousin who was still in the house when the fire erupted. However, Joan is set to file a case against her husband for violation of Republic Act 9262 or Violence Against Women and Children Act of 2004. Gemjun remained detained at the Dauis police lock-up jail.